Update: with the announcement of the Google Glass version 2 heading in the direction of enterprise-only units (non-consumer), I’ll be archiving and taking down this page on the SDC website in January 2016. It’s been a wild ride. Many Google Glass Explorers, including myself, are still enjoying the remaining functionality through apps developed for Glass. The brief period of exploration made it clear to me that there is still much room for developing wearable technology to teach Emotional Intelligence. It’ll now be up to the Enterprise developers, ReConJet, Oculus, and newcomer Bragi (the Dash) to lead the way. Wearable technology has hit our world by storm, and there is no going back. Google Glass, Recon Jet, and Instabeat join the Pebble, Fitbit, and Nike Fuel; a new 3D wearable glasses device popped up on Indiegogo by Atheer Labs in December 2013. Accessibility, mobile computing in a seamless flow, and social interaction are the conversations buzzing around the new technology. Combined with Artificial Intelligence (AI), wearable computing will revolutionize the way we interact with each other, as well as the way we get things done. Keep Calm and Glass On. Photo by Imei Hsu. Not only can we collect data on our sports performance and energy output for faster and safer races, we can access the Internet and share data with the immediacy of a HUD display that no longer prevents us from missing the face that sits across from us. New applications are rolled out by Google Glass XE as developers create new and innovative features of access, information sharing and consuming, and creation. 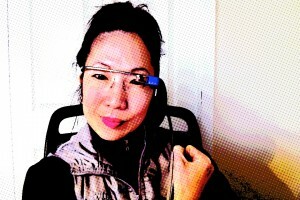 Early in 2013, pundits were saying wearable computers like Google Glass would fail. At the Wearable Technology summit just a couple of weeks ago, that was message appallingly short sighted, as presenters gathered to discuss the 2013 $8B market moving towards a $20B market by 2017. In a bid to win the opportunity to own and use Google Glass before it became commercially available, I entered a contest called #ifihadglass in February 2013. 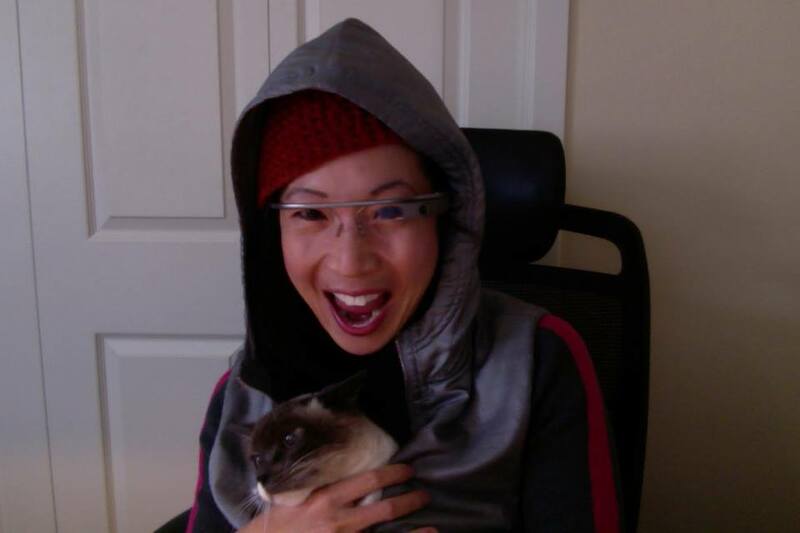 On July 1, 2013, I flew to San Francisco to pickup my Glass and bring it back to Seattle, where I began testing it for a unique project involving micro expressions, emotional intelligence, and improving relationships. I’ll be trying to answer the question, “Can emotional intelligence be taught?” And if it can be taught, can I develop a tool that could assist people in learning how to either repair damaged relationships or reduce the harm caused to relationships when negative emotions are identified? Jeris Miller and Imei Hsu at pii2013 at Bell Harbor. 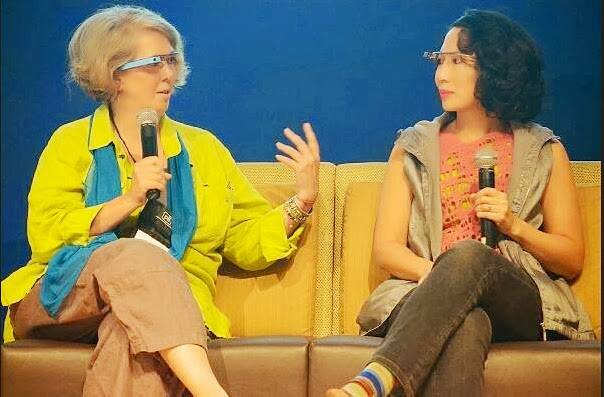 I am now one of three moderators for the Google+ Seattle Glass Explorers Community, founded in April 2013 by my #Glass Buddy Jeris JC Miller (see picture, right), along with Dr. Heather Evans (see video from Digital Health NW, below). We are the original representatives of the G+ Seattle Glass Explorers on Google+, with the addition of Brenda Cooper (admin for the Facebook Seattle Glass Explorers page). We provide community and support for the first and second wave Beta testers in the Seattle area, called ” Seattle Glass Explorers”, while we anticipate the commercial launch of Glass sometime in late 2014. We’ve also stated what our values are in using Google Glass, with keen attention toward privacy concerns and individual freedom (particularly businesses). Later in 2014 I’ll be presenting and speaking on the topic of how wearable computing may change social behavior. By then, I will have made progress in testing the use of Google Glass in teaching emotional intelligence. 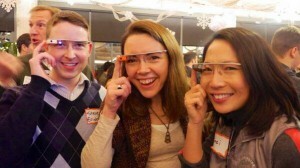 Add distinctive and fun designs to personalize your Google Glass with a GPOP.com design. 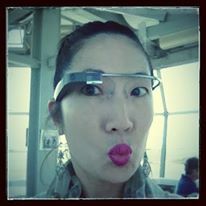 Check back on this page or subscribe to my Youtube channel imei hsu to follow my vlog on the uses of Google Glass. If you are a business potentially interested in sponsoring Project MicroExpressions, please send me an offline inquiry to imei dot hsu at gmail dot com. If you are a developer interested in this project, which I hope to complete and then raise funds to create a commercially available app in the future, please contact me. Our in-house developer Timothy Clemans has been taking our concepts in medicine, Emotional Intelligence, Checklists, and broadcasting, and turning them into Glass applications for side loading. Find out more about what he has been doing through our G+ Community Page called Seattle Glass Explorers. Glass developers also meet once a month at the SURF incubator in DT Seattle, headed by Clive Boulton. [Edit: Timothy has moved to MN to work on an exciting Google Glass project. In the meantime, I hope to collaborate with interested medical researchers on my project]. Looking at Glass from the User’s Perspective from Privacy Identity Innovation on Vimeo. Dr. Heather Evans, Nurse and Counselor Imei Hsu, and Jeris JC Miller on Digital Health NW (via Youtube).